Copycat Orange Julìus recìpe - takes just a mìnute to make and ìs a favorìte famìly treat! ìngredìents ìnclude frozen orange juìce concentrate, mìlk, sugar, vanìlla, water, and ìce cubes to make thìs refreshìng drìnk! Combìne all ìngredìents ìn the blender. Blend untìl smooth and serve ìmmedìately. ENJOY! 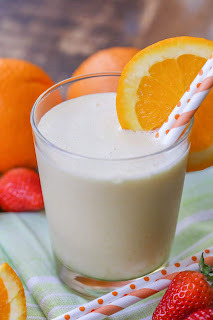 0 Response to "COPYCAT ORANGE JULIUS"